This is CRAZY. Love it! Hockey fans of a certain vintage know just how many characters the NHL used to have. While there’s no denying the speed and skill of today’s NHL hockey, you simply don’t have characters like Guy Lafleur, Lanny McDonald and Wendel Clark in the league anymore. Maybe that’s why the trio have come together to plan an epic, one time only hockey game called the “Last Game” to by played at the North Pole next spring. Say what!? It’s just as crazy as it sounds, and of course it would take a trio of characters like Lafleur, McDonald and Clark to pull it off. 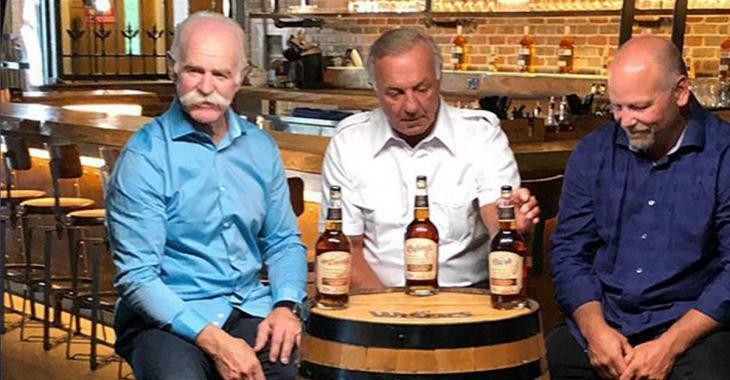 The NHL Alumni — fresh off a major success with individually branded whiskeys for Wendel Clark, Guy Lafleur and Lanny McDonald — is preparing to participate in the “Last Game,” a shinny event to be played in April at the North Pole. Hall of Famer Slava Fetisov, the United Nations’ Environment Patron for Polar Regions, is involved in planning the game, which is designed to call attention to the dangers of climate change. The reason it is called the Last Game is because there’s a danger it might be just that.